If you’ve encountered Margaret Cavendish before, it may be the same place I first did--in the pages of Virginia Woolf’s A Room of One’s Own. 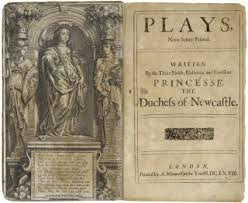 There, after her discussion of the fictional Shakespeare’s sister, Woolf describes several Englishwomen writing before the eighteenth century, Margaret Cavendish among them. When the students in my literature classes read Woolf’s description of Margaret Cavendish--disfigured and deformed, a kudzo-like vine devouring pretty blossoms--they would laugh. At least until they realized that they would be reading Cavendish later in the semester. In 1623, Margaret Lucas was born into a wealthy, aristocratic family, the daughter of Sir Thomas Lucas and his wife, Elizabeth Leighton. Like so many of the women about whom I've posted this year, she received no formal education, and she was keenly aware of this deficiency. The Lucas family's social position secured for their daughter a place as lady-in-waiting to Queen Henrietta-Maria, the French-born wife of King Charles I; when the queen fled the strife-torn country in 1644, Margaret Lucas left England with the her. Margaret Cavendish returned to London in 1651, where she worked tirelessly with her husband’s younger brother to save some of the Cavendish family’s wealth. She went back to Antwerp in 1653 and remained there with her husband until the Restoration of Charles II in 1660 allowed them to return to England. William Cavendish and his younger brother, Charles would both contribute to Margaret Lucas Cavendish's education. They read to and with her, engaged with her and challenged her, and fostered her interests in a broad range of topics, including politics, science, and scientific experimentation. She was later to characterize herself as an “apprentice” to her husband, who in his role as teacher became her “master.” In her estimation, “I have learned more of the world from my lord’s discourse, since I have been his wife, than I am confident I should have done all my life, should I have lived to an old age.” She was an “apt” student, “industrious” enough to remember everything her husband taught her. 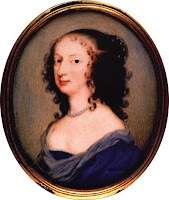 Cavendish’s literary career began in 1653, with the publication of her first poems and “philosophical fancies” and continued until her death in 1673. Unlike most women of her day and certainly of her class, she published what she wrote, she made sure her authorship was proclaimed on the title-pages of her books, and she displayed engraved images of herself in frontispieces inside the covers. 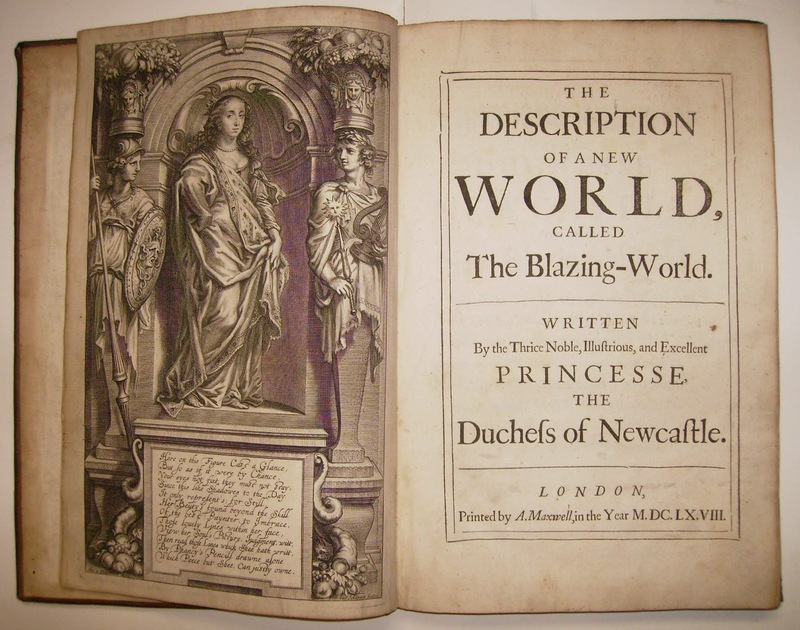 She did not limit herself by writing only in genres “acceptable” for those few women who did publish in the early seventeenth century, lyric poems, devotional works, and personal letters, for example. In the twenty years between 1653, when she published two volumes, Poems and Fancies and Philosophical Fancies, and her death in 1673, she published fourteen books, including two volumes of plays; a number of philosophical and scientific works, including Philosophical and Physical Opinions (1663), Observations upon Experimental Philosophy (1668), and Grounds of Natural Philosophy (1668); a utopian romance, The Description of a New World, Called the Blazing World (1666), that has often been called the first work of science fiction in English, a biography of her husband, the 1667 Life of William Cavendish, and her own autobiography, A True Relation of My Birth, Breeding, and Life. 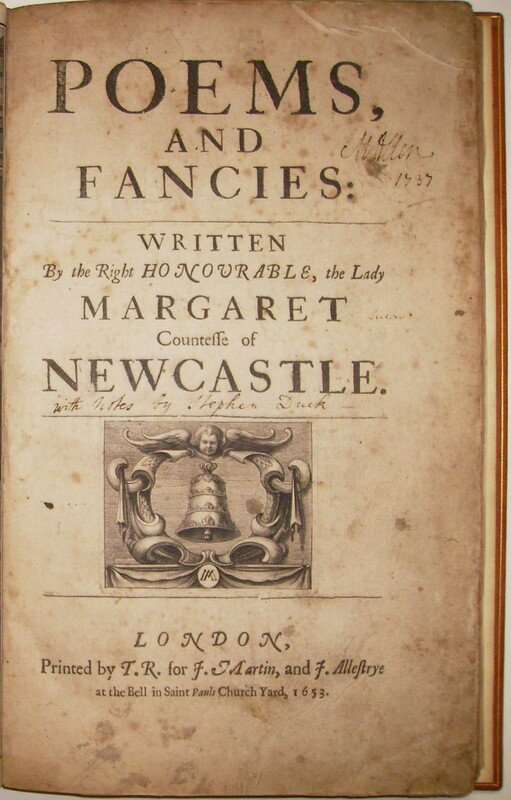 As her recent biographer, Kate Whitaker, notes, “In the first forty years of the [seventeenth] century fewer than eighty books by women had been published in England—making up only one-half of 1 percent of all books.” Margaret Lucas Cavendish wrote and published as if she were trying to make up the difference all by herself. 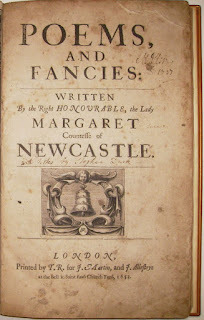 She died at age fifty, survived by her much older husband, who buried her in Westminster Abbey and then published a tribute to her, Letters and Poems in Honor of the Incomparable Princess Margaret, Duchess of Newcastle in 1676. But by the middle of the eighteenth-century, most of Cavendish's work had disappeared. 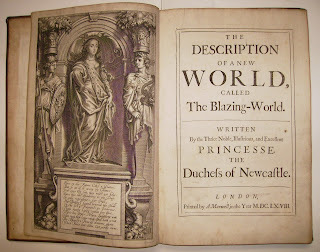 She had published second editions of a few of her books, most notably of The Blazing World, originally published in 1666, with the second edition appearing in 1668, but she did not reprint her plays. After Cavendish’s death in 1673, Whitaker reports that her “original volumes had become so rare and so expensive” that a would-be biographer, George Ballard, intent on compiling information about Cavendish for his 1752 Memoirs of Several Ladies of Great Britain Who Have Been Celebrated for their Writings of Skill in the Learned Languages, Arts, and Sciences, had great difficulty finding many of them. Today Margaret Cavendish's many interests and accomplishments have blazed back into view. You can read about Cavendish "The Scientific Revolutionary" at the website of Epigenysys, an educational organization funded by the European Community ("our public education mission will communicate the science in an accessible and interesting fashion while awakening young pupils' interest in research"). You can read about Cavendish the philosopher in the Stanford Encyclopedia of Philosophy (in the entry on Cavendish, topics include "Arguments for Materialism," "The Intelligibility of the Capacities of Matter," "Occasional Causation and the Orderly Behavior of Bodies," "God," and "Social and Political Philosophy") or in the Internet Encyclopedia of Philosophy, which divides Cavendish's philosophical work into two major topics, natural philosophy and political philosophy. You can read about Cavendish the poet at the Poetry Foundation website and read a sample of her poetry there. You will also find her work in print, published by Penguin, Cambridge University Press, Johns Hopkins, and Routledge Press. And you can always catch up with the latest news about Margaret Cavendish on Facebook.